This is just a little bit about my career in the needle arts...there is more, but it would just bore us all! 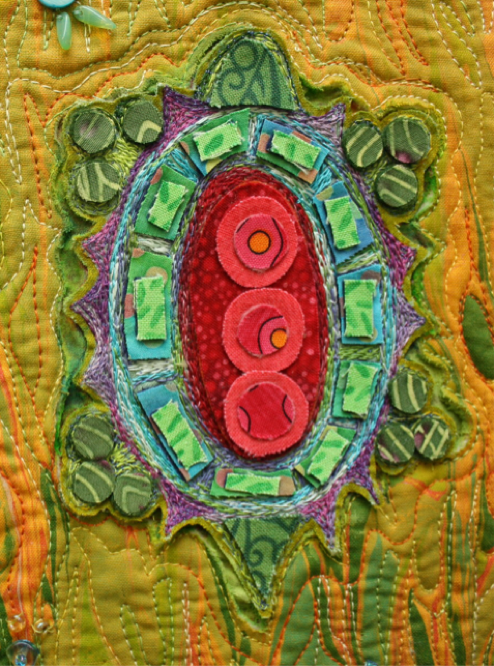 I have created art with needlework all of my life. In my first 35 years almost everything I did was by hand. 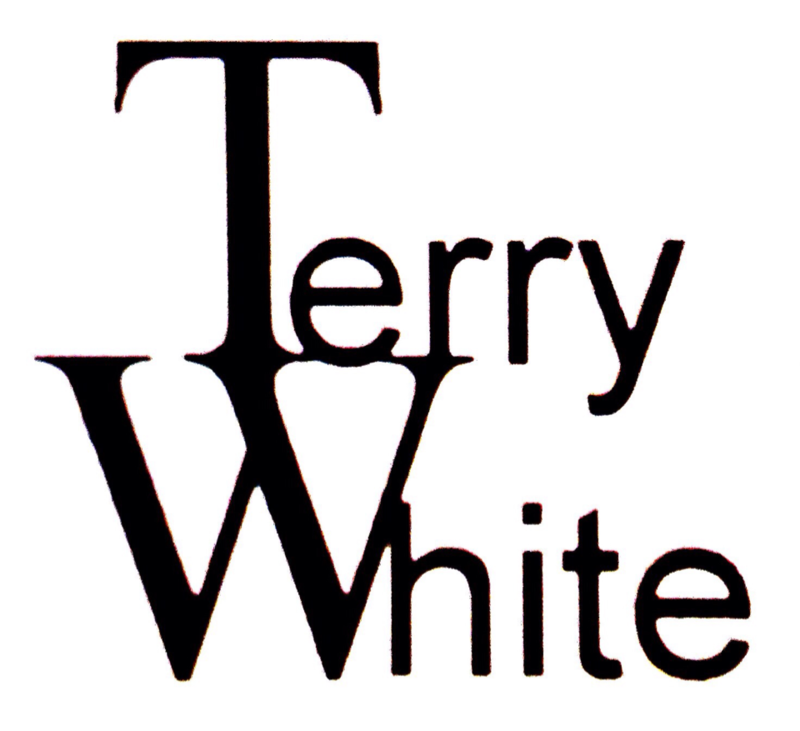 I designed my projects for knitting, crochet, tatting, needlepoint, crewel embroidery, rug hooking, lacemaking, knotting, appliqué, quilting and mixed media techniques. Then, I developed carpal tunnel syndrome in my hands. This was very difficult for me. For three years I didn't draw or do any type of hand needlework. I turned to the sewing machine and began to learn how to make new needlework. So, I learned from everybody...from books and conversations and classes......and...lots of experimentation. It has been amazing to me how much I learned about my sewing machine when I turned my attention to it as my most important tool. I have used several brands of sewing machines over the years. I think that the most important feature of a sewing machine is good stitch quality. The ability to drop or cover feed teeth is necessary for free motion work. The ability to change the tension settings and stitch size are really important for stitching beautiful programmed stitches.....and... a real important aspect of buying a good machine is to have a really good supportive dealer. 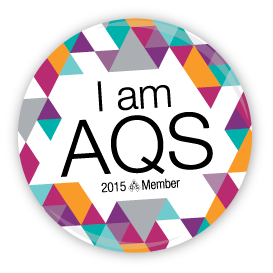 I am an AQS Author! A wonderful thing for me was the publication of my three needlework books by AQS. 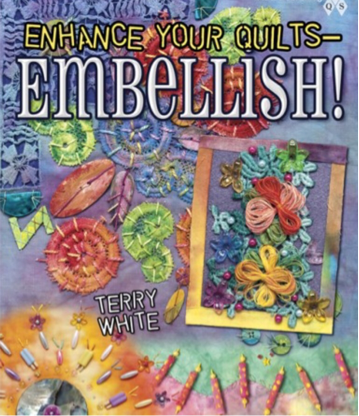 Before that I had published in quilt publications, taught around the country and appeared on PBS sewing shows. My husband and I created teaching videos and started a youtube channel. 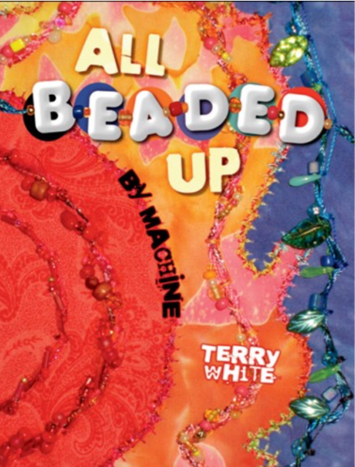 My books are my legacy to the needlework community. I am very happy about that. 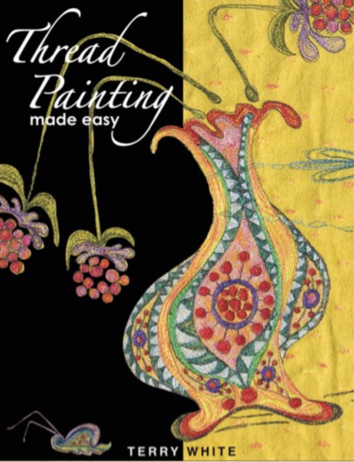 This book has everything I know about Thread Painting....except for the things I learned after writing it! I invented the techniques in this book...so much fun!